HOW DOES A ST LOUIS BANKRUPTCY PROTECT MY ASSETS? 1) The filing of a St. Louis bankruptcy creates an “Automatic Stay” which puts an immediate stop to all creditor activity. This would include things like threatening phone calls and nasty letters. But it also includes putting an end to wage garnishments, bank levies, and lawsuits filed against you. In addition, the automatic stay halts a creditor’s efforts to foreclose on your house, or to repossess your car. 2) The state of Missouri allows certain legal exemptions that can be applied to your property and assets. This in turn adds another level of safety. An experienced St. Louis bankruptcy attorney can use these exemptions on specific assets so that neither the Bankruptcy Trustee nor your creditors can get their hands on them. An example of how this works is the following: the state of Missouri gives a $3,000 exemption for Household Goods & Furnishings for an individual filer (or $6,000 for a joint, married couple). This would be things like your furniture, appliances, pots & pans, etc. But the court uses the garage sale value of these items. Garage sale value is usually pretty low. As a result, it is a very unusual case when someone has a set of household goods that exceeds the state exemption of $3,000. 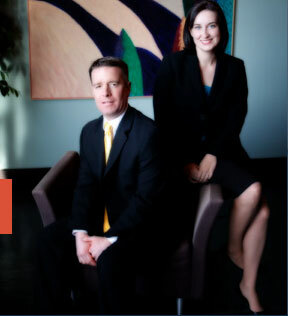 The expert St. Louis bankruptcy lawyers at Brinkman & Alter, LLC have been making sure all assets and personal belongings are safe when someone files a bankruptcy for over ten (10) years. We pride ourselves on giving the highest quality legal advice in St. Louis, and we are prepared to take you step-by-step through the entire process from start to finish. In the end, our goal is to get you the fresh start / clean slate you need so that you can get back to financial freedom.